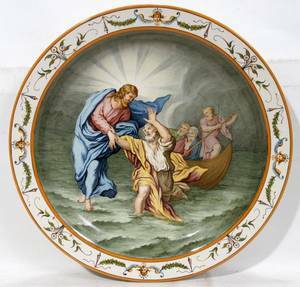 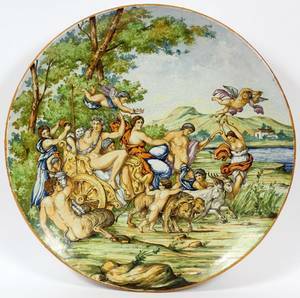 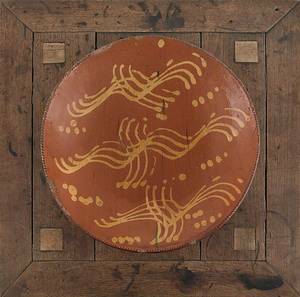 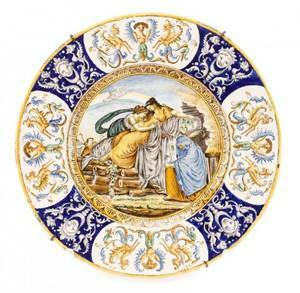 Large Italian Ceramic Majolica Charger, 19th C.
Italian, 19th century. 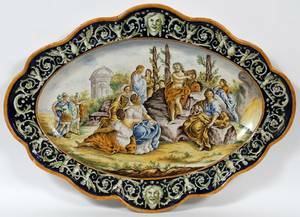 A large majolica ceramic charger or serving platter with central figural image depicting distraught woman consoled by two female attendants, each dressed in Roman style draped robes, with bystanders in background and angel in sky above, central image surrounded by griffin, harpy and classic mask motifs, apparently unmarked. 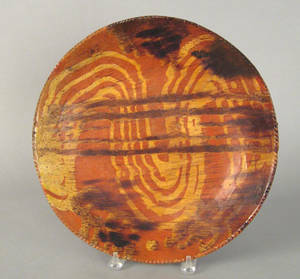 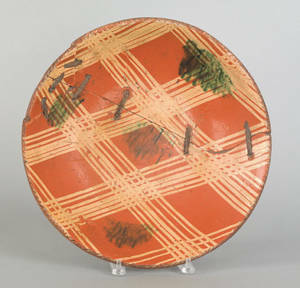 Approximate height 2.25", diameter 20". 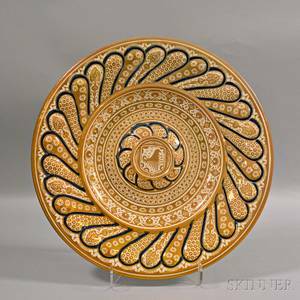 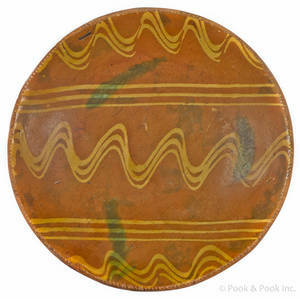 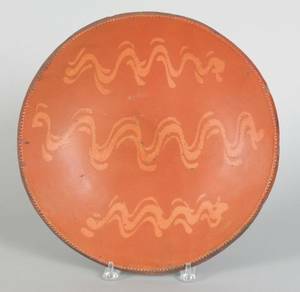 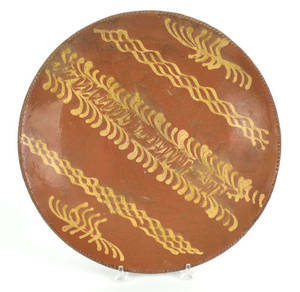 Archived auctions similar to Large Italian Ceramic Majolica Charger, 19th C.
Large slip decorated redware charger, 19th c.
ITALIAN MAJOLICA POTTERY CHARGER 19TH C.
ITALIAN MAJOLICA MONUMENTAL CHARGER, 19TH C.
082023: GINORI MAJOLICA CHARGER, 20TH C., DIA 15"
Large redware charger, 19th c.
Large Pennsylvania redware charger, 19th c.
Large American redware charger, 19th c.